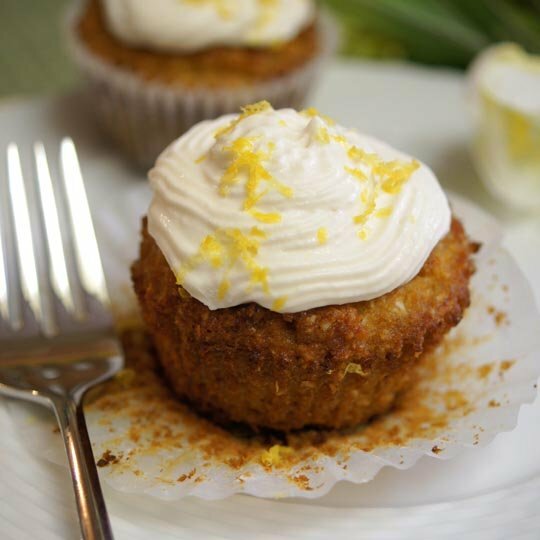 Lemon Coconut Cupcakes–> with homemade vegan frosting!! 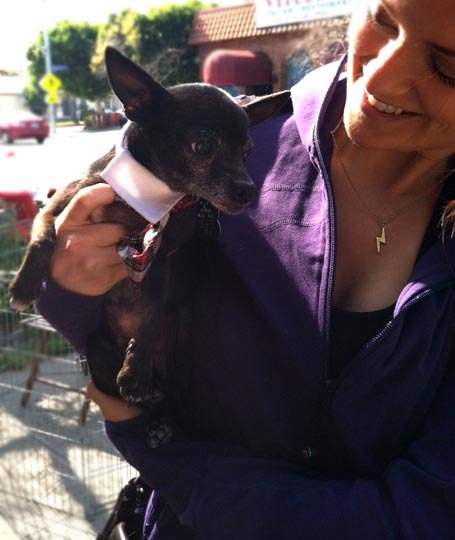 Rescue Pet Adoptions!! After enjoying coffee with a good friend, we ended up here… and she went home with the sweetest puppy ever! California Pizza Kitchen To-Go. 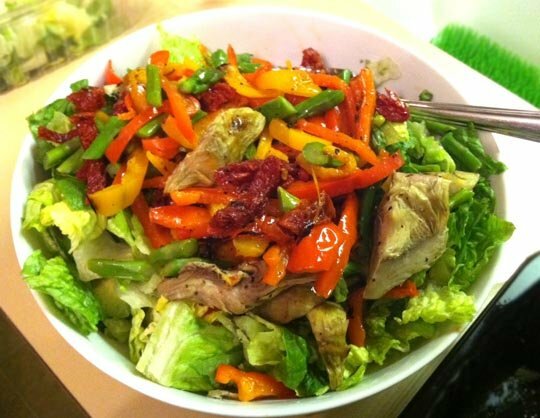 With my father-in-law in town, we ordered take-out salads one night– and I’m so impressed! Not only were the portions huge, they packaged all my roasted vegetable toppings separately, so my fresh greens wouldn’t wilt! Happy customer, over here. Soda Stream Fountain! Our in-laws got one of these cool machines, so we sampled some homemade soda water this weekend! 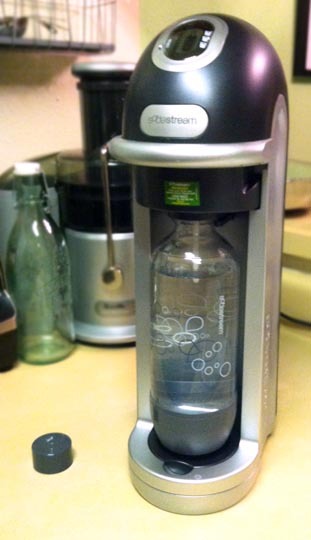 Normally, I’m not a fan of carbonated water, but the Soda Stream lets you choose how bubbly you want your water to be–> so it wasn’t as harsh as store-bought carbonated water. Plus, it’s always more fun when you made it yourself! 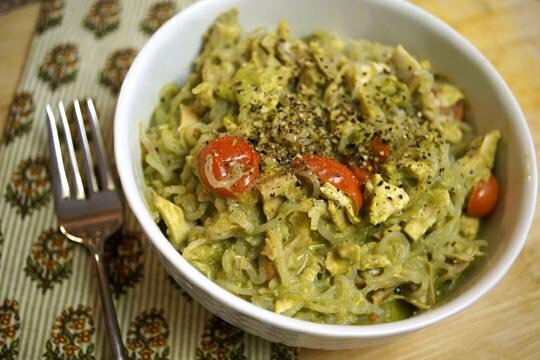 The best Vegan Pesto Sauce I’ve ever made. Austin loves it. I love it. Soon, you’ll love it, too. I LOVE CPK salads! They are so (surprisingly) delicious/special/satisfying! I know, I was surprised at how GOOD their salads are! Super satisfying. 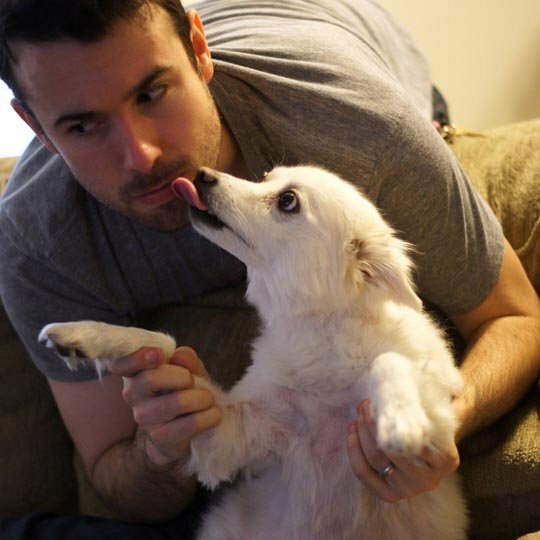 Could you talk more about the soda stream machine. My husband is trying to stop drinking pop. He said he likes the bubbles in pop and has asked about this machine after hearing ads during xmas. I just wasn’t sure it was worth it and didn’t like the idea of buying their flavor packets. Can you use any beverage, like a juice, in this machine? Or only use it with their bottled flavors? I don’t think they “recommend” using it for other beverages, like juice, but I’ve heard that it can be done… it just may not turn out as bubbly as the water. Yes, that’s a good reminder, Heather, and why I tend to stay away from carbonated water for the most part. However, I do think it’s still a great transition tool for someone who is trying to stop drinking sugary sodas!